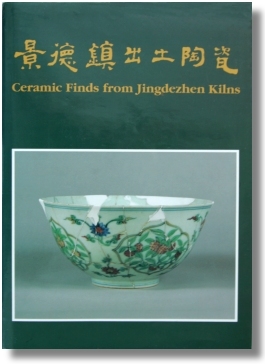 I feel this is an important report, in particular about the Song and Yuan excavations in and around Jingdezhen but however thick with its 366 color illustrated items, I feel it is spread too thin over a too large an area to be really valuable. It is interesting, yes, and I believe if you have that kind of mindset that you want to get to the bottom of the Jingdezhen kilns, this belongs among the must have’s. However you also need to prepare for a long journey, before you have got the full picture because considering the wealth of material dug up in Jingdezhen during the last decades, this book really does not contain much at all. One good point is that quite often bases, foot rims and marks are shown. Something that is missing in the earlier book, Imperial Porcelain of the Yongle and Xuande Periods. Still, what is here is here and I figure we need to be grateful for that, but as I said, many important areas are covered badly or not at all and is probably awaiting publication in their own sweet time. Text in English and Chinese, Around 400 pages of which 168 pages with introduction plus around 250 pages with 366 color photos of the exhibits. Any index is strangely missing and there are no pagination on the pages in the section with catalog entries. University of Hong Kong 1992.